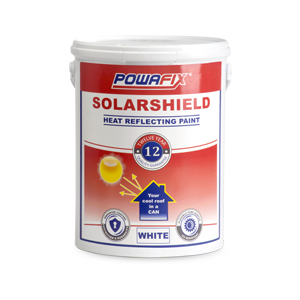 Powafix Solarshield heat reflecting paint provides excellent roofing insulation properties to keep your building cool. 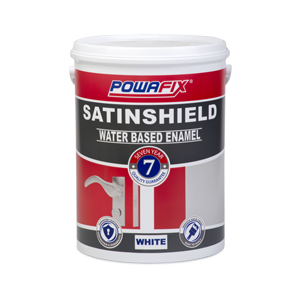 Powafix Solarshield uses a unique combination of exceptional reflective properties and hollow ceramic beads to insulate against even the harshest weather conditions. 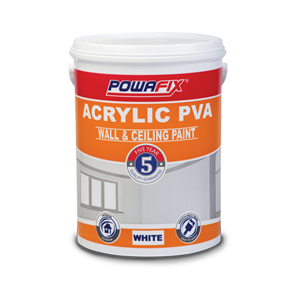 This high quality pure acrylic will also coat, repair, maintain and preserve all types of roofs. Keep your energy and maintenance costs down by choosing South Africa’s long lasting and proven solution to rising temperatures. 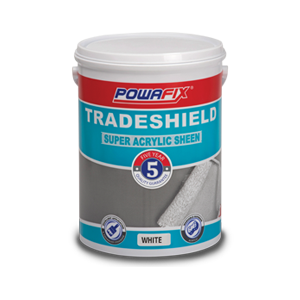 Never apply Powafix Solarshield over any material that may adversely affect the adhesion of the paint.